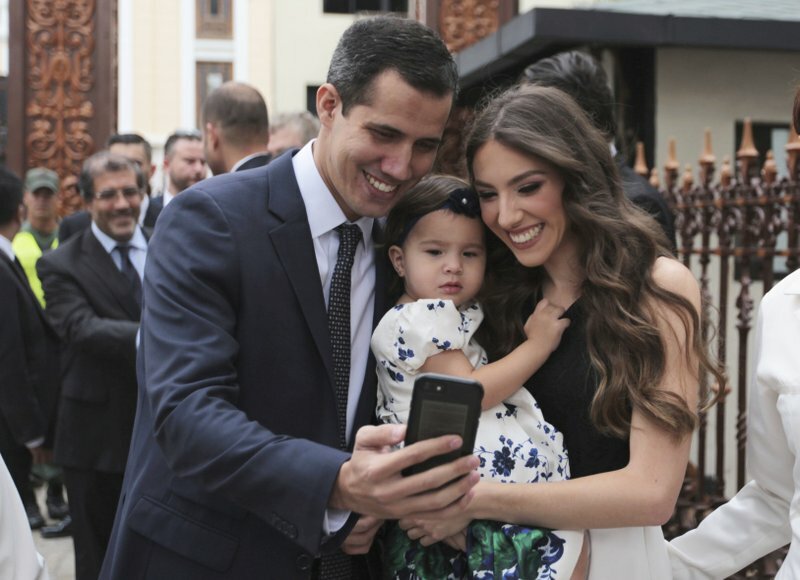 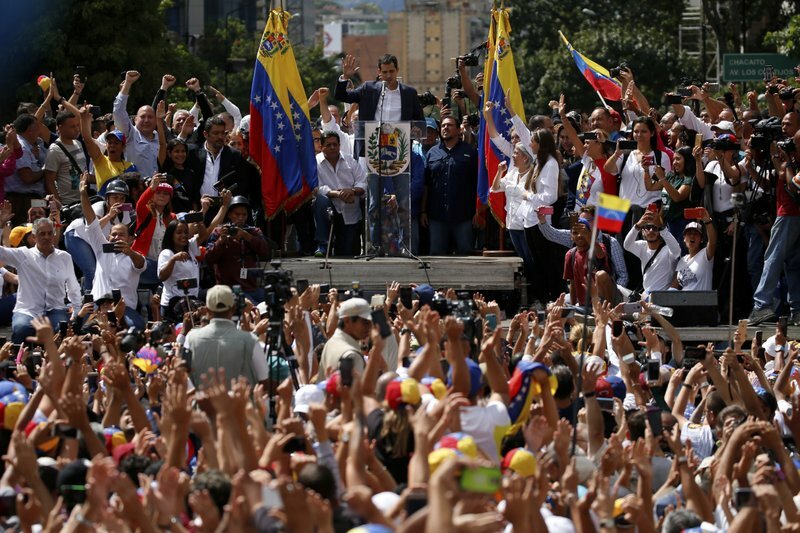 The rise of Juan Guaido from back-bench obscurity to the U.S-backed, self-declared interim president of Venezuela in just three weeks has been meteoric – and by his own recognition risky. 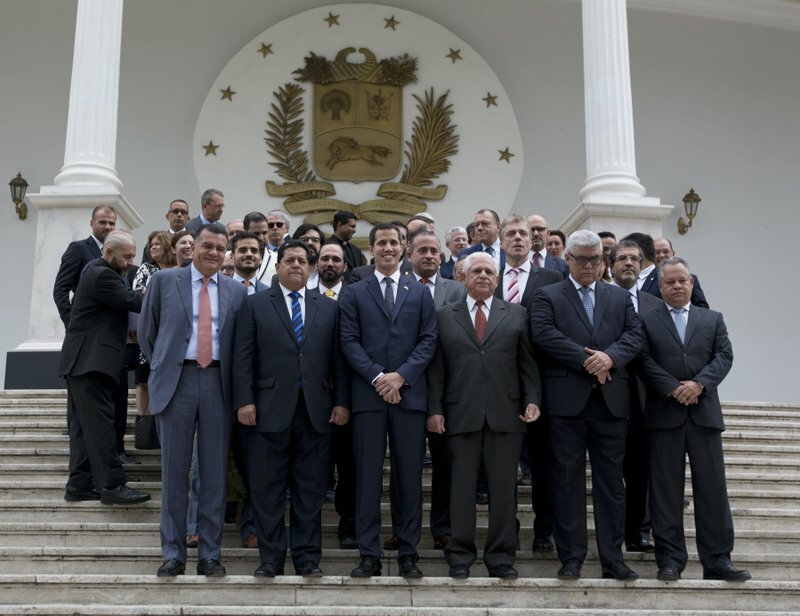 In this Jan. 5, 2019 file photo, incoming congressional President Juan Guaido, front center, poses for a photo with his colleagues prior a special session of the National Assembly in Caracas, Venezuela. 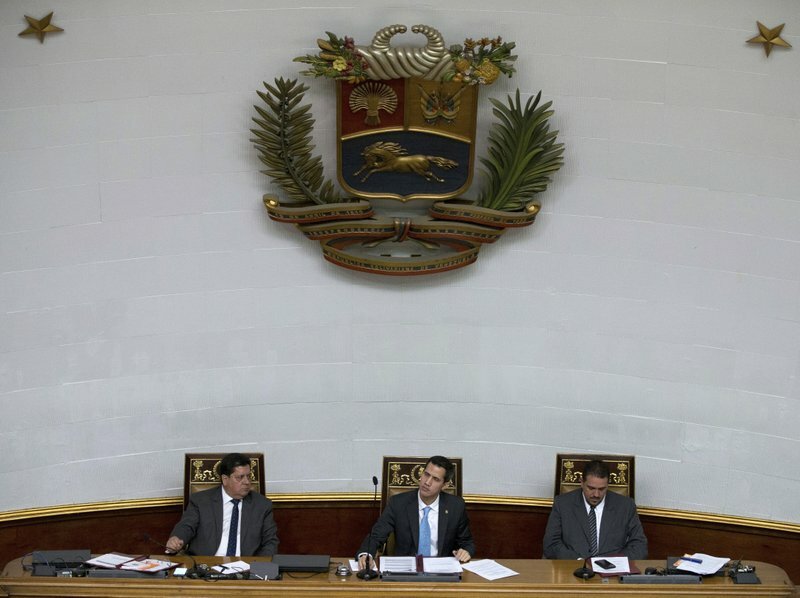 In this Jan. 15, 2019 file photo, leaders of the opposition-controlled National Assembly, President Juan Guaido, center, First Vice President Edgar Zambrano, left, and second Vice President Stalin Gonzalez hold a session with lawmakers at the National Assembly to debate actions against Venezuelan President Nicolas Maduro, in Caracas, Venezuela. 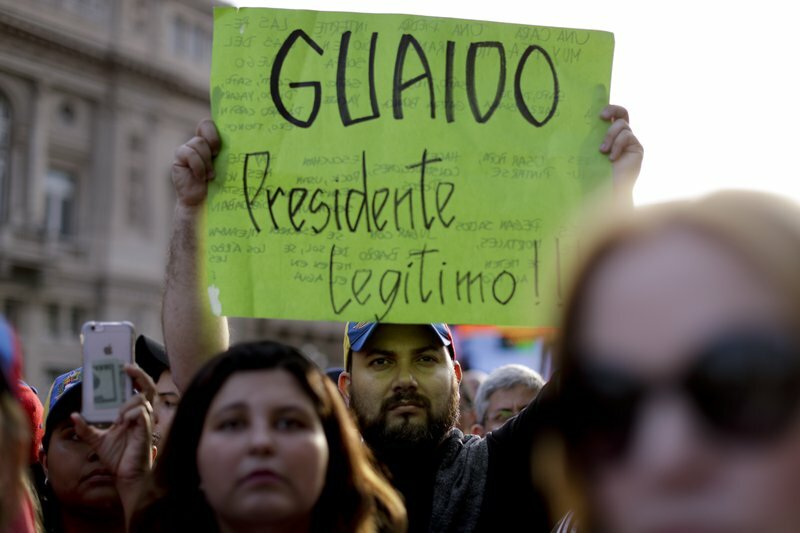 A Venezuelan anti-government protester holds a sign that reads in Spanish “Guaido legitimate President!” during a demonstration in Buenos Aires, Argentina, Wednesday, Jan. 23, 2019.